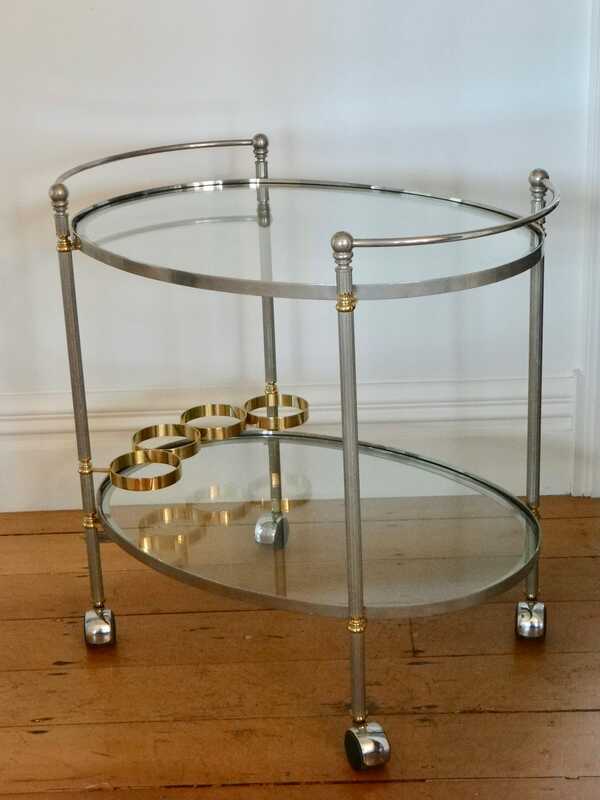 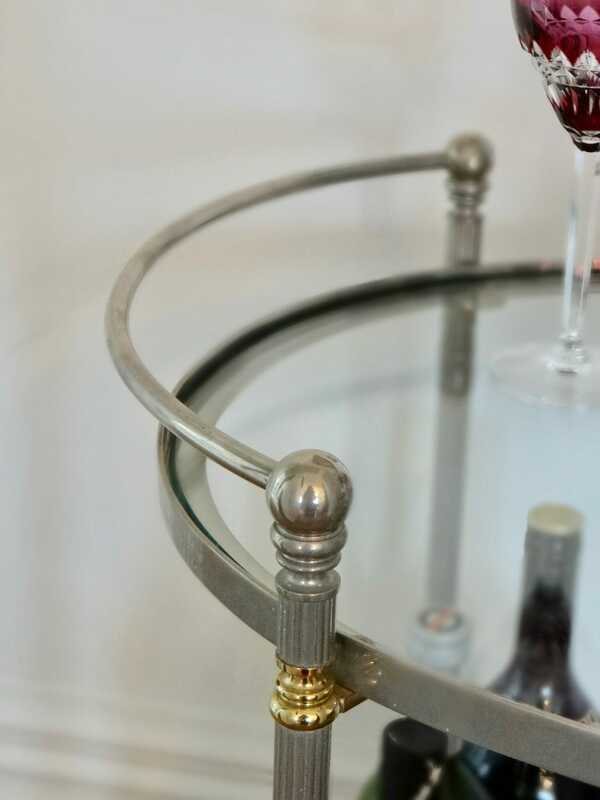 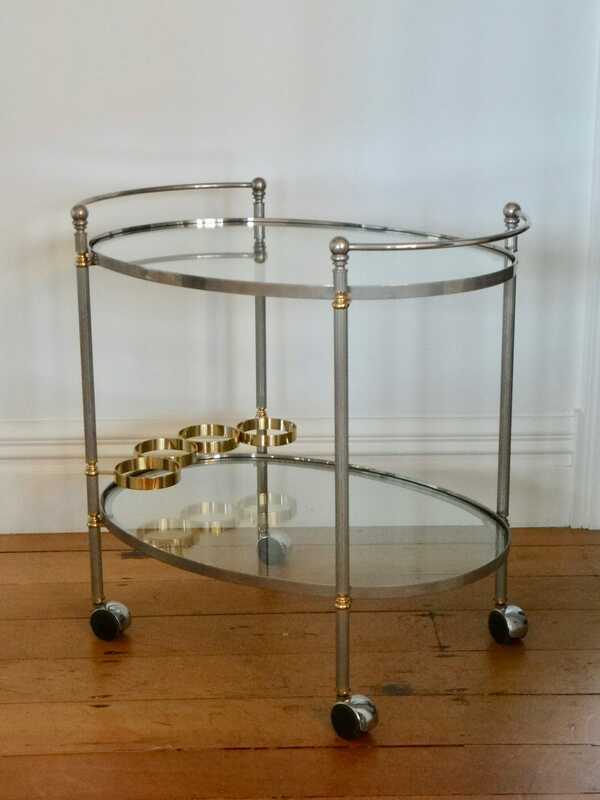 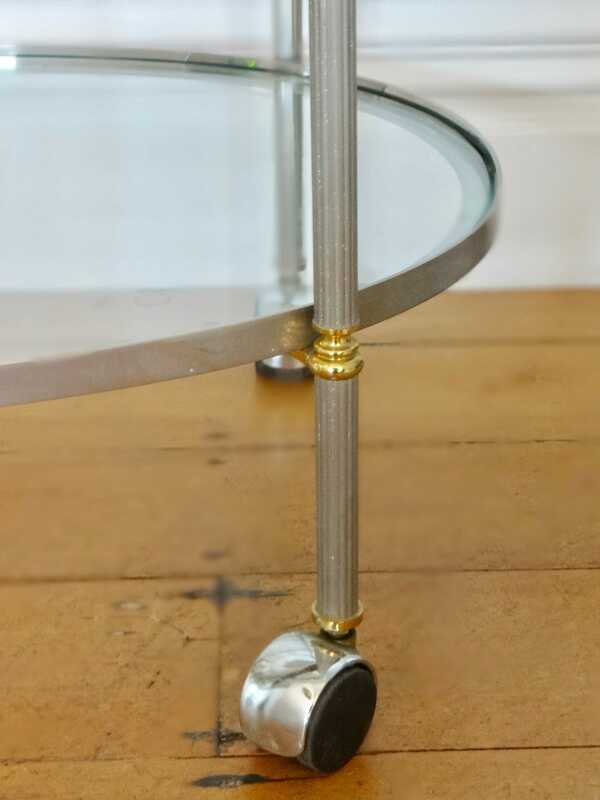 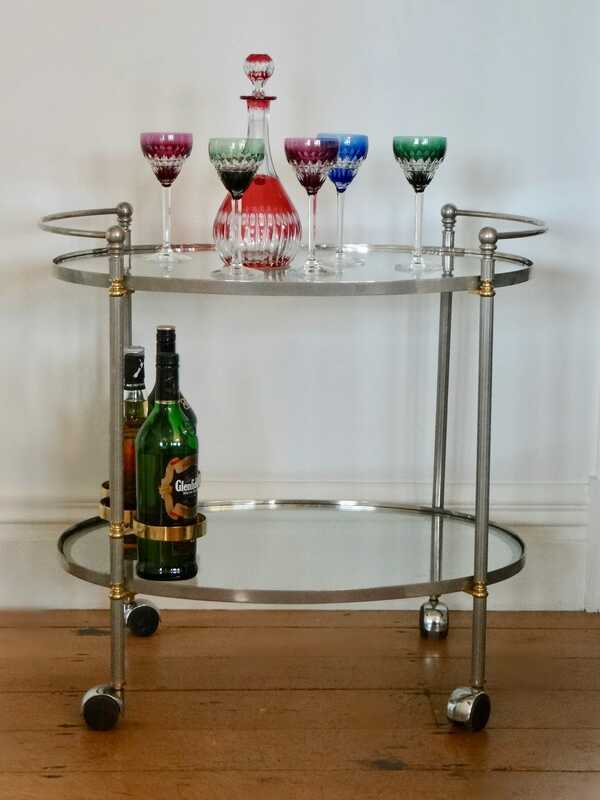 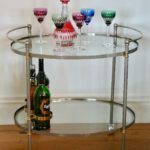 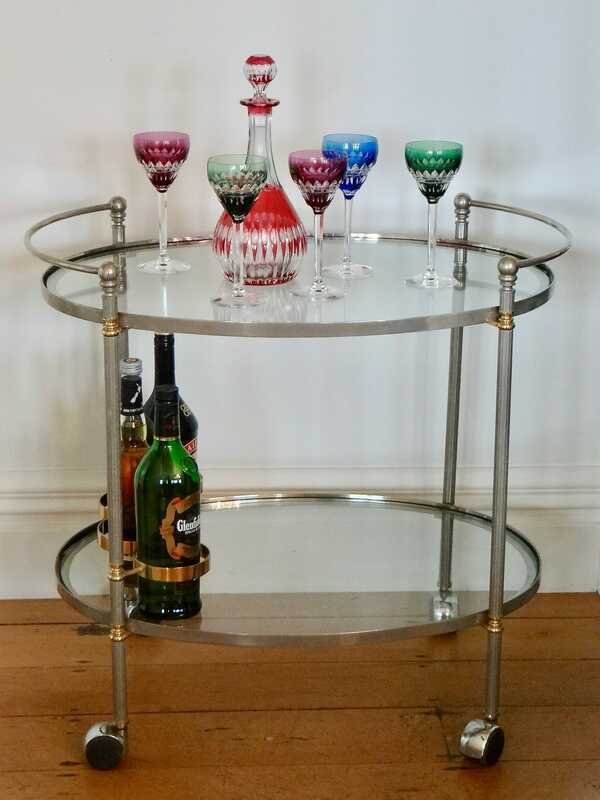 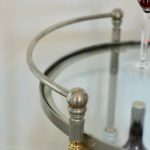 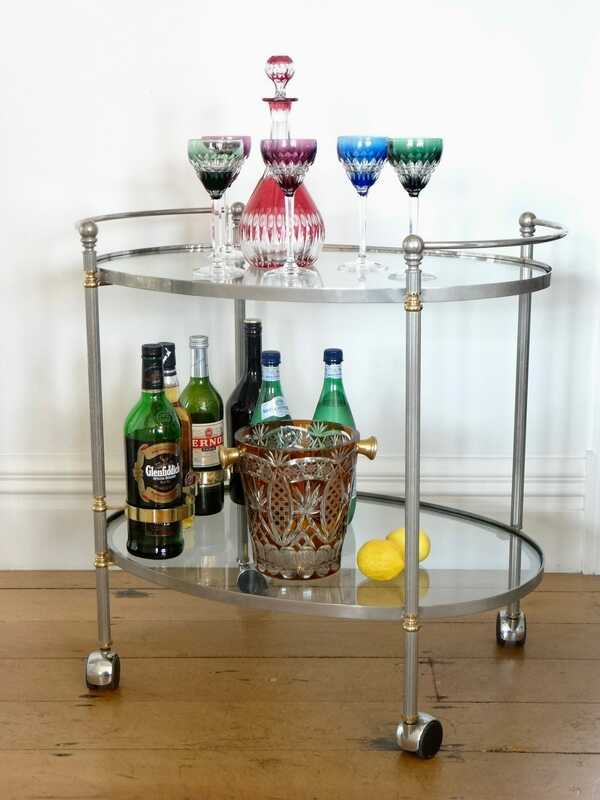 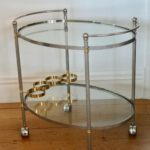 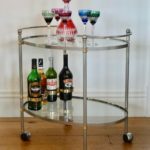 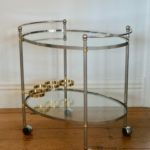 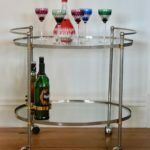 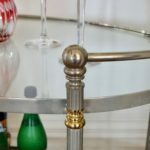 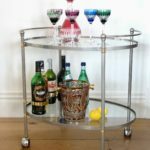 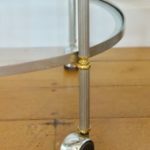 A simple and chic two tiered French pewter and glass oval drinks serving trolley on castor wheels. 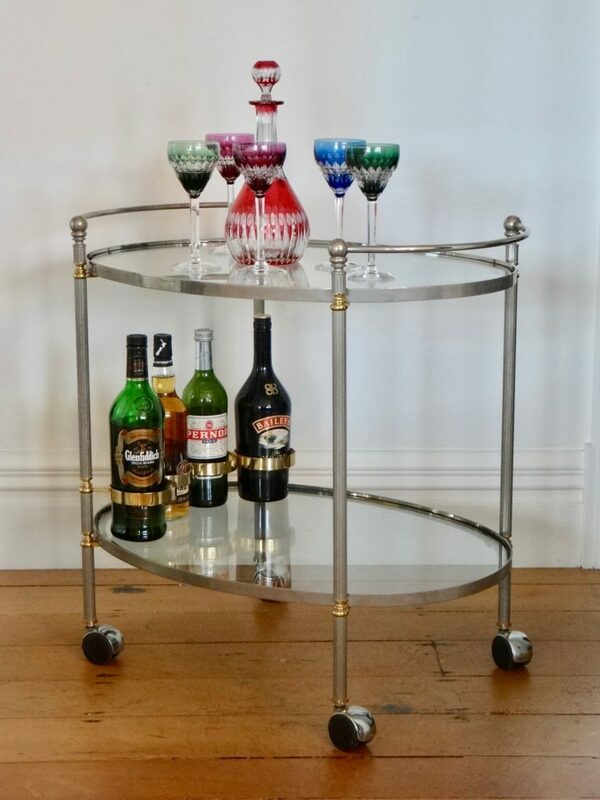 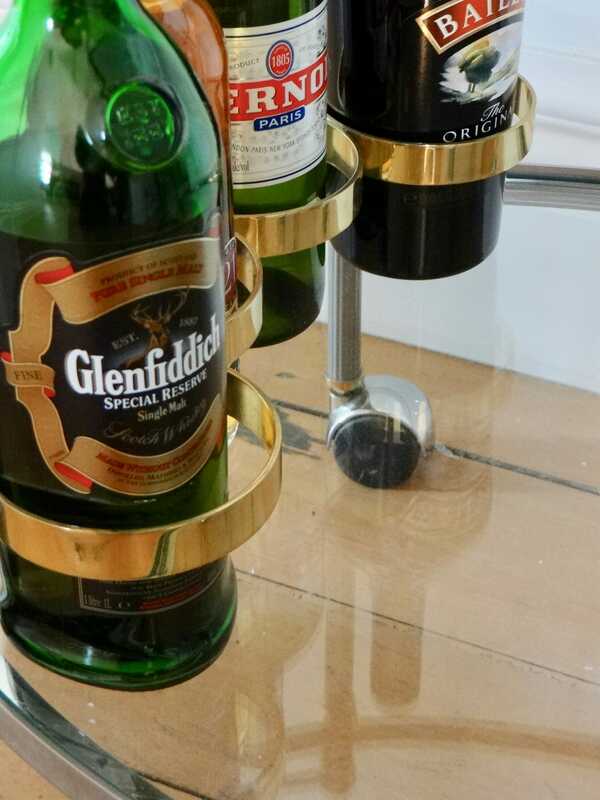 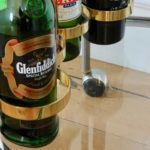 The bottom tier holding up to four bottles of your favourite tipple. 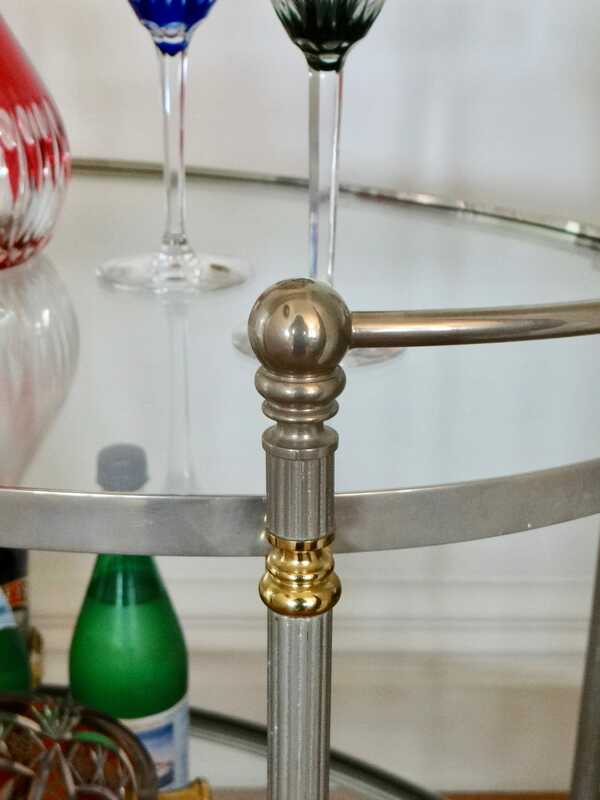 Very much in the Hollywood Regency manner.